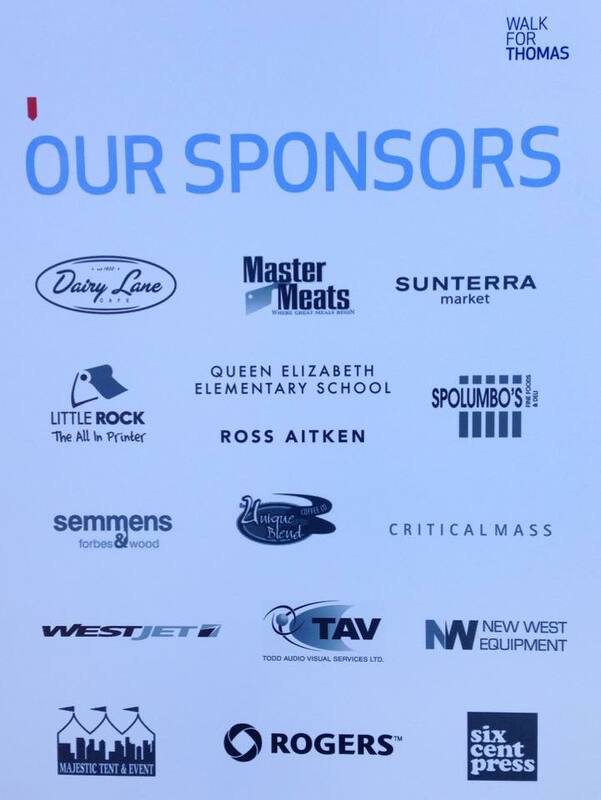 A special thanks to our Walk for Thomas 2014 Sponsors! The date has been set for the 4th Annual Walk for Thomas – please keep the morning of Sunday October 5th, 2014 open! 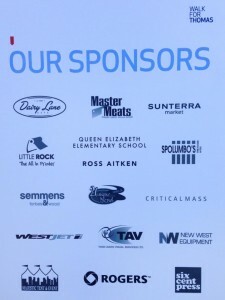 Watch the Peloton 65 site, http://peloton65.com/ and our Facebook page for more event details and updates. The walk will be held at Queen Elizabeth School in West Hillhurst, Calgary (402 – 18 St NW). We were overwhelmed by the generous outpouring of participants last year, and had an unexpected 350+ participants. We will have Walk for Thomas merchandise for sale and will also be accepting donations at the event. 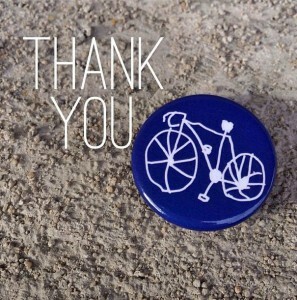 If you cannot make the event and still wish to donate, please feel free to visit the donation page at Peloton65.com. All funds raised at the event support The Thomas Mueller Phage Display project, an innovative project being co-led by Dr. Paul Beaudry at the University of Calgary and Dr. David Kaplan at The Hospital for Sick Children in Toronto. Food Crew – From set up to prep to cooking burgers, there will be lots to do! Registration Table – Greet walkers as they arrive, register participants, hand out event brochures/route map and provide a run down to the day’s event. Merchandise and Donations Table – Manage merchandise and cash sales. Collect and manage donations. Event Set Up Crew – Arrive early before the event to help with the set-up of chairs/tables, the organizing of the various stations, accept deliveries and work with on-site vendors. If you have any questions about the event or any of the listed positions, please contact Julie Walyuchow. Feel free to forward this information along to anyone else you think might be interested. We hope for another special Walk; where people will gather to remember Thomas and to unite in the fight against neuroblastoma. We have had some great feedback from our event on Saturday! But an event like this would not have been possible without the sponsors who helped make it happen and we want to send out heartfelt thank you’s to Bow Cycle North, Cyclepath Calgary and Pedalheads Calgary. Thank you again to those who came down, the volunteers who put the event together and those who wish they could make it but sent good vibes anyway! 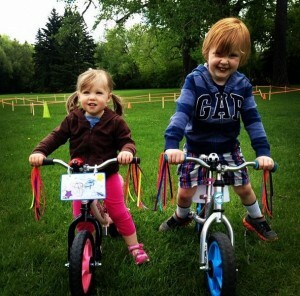 Spring has sprung and the Peloton 65 team would like to usher in the new season with a bike tune-up for kids! 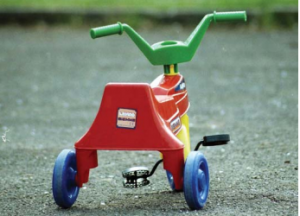 Those bikes have been kept in the garage all winter and we think they need a little love and some freshening up. Tune-up services are free but a donation to Peloton 65 would be greatly appreciated by the team. Bring your bike, your family and a full picnic basket and join us on Saturday, June 7! When: Saturday, June 7, 11 – 1 p.m.
Quarterly Newsletter – First Edition! Welcome to the first edition of the Peloton 65 quarterly newsletter! Please click on the image below to read the full news letter. Additionally, we will be creating a new Peloton 65 email list to keep you all informed, so those of you that have submitted your email to us in the past, will be receiving a subscription confirmation very soon! Here is Chantelle Kolesnik’s documentary on the Walk For Thomas 2013. Very well done! WALK FOR THOMAS 2013 from Chantelle Kolesnik on Vimeo. 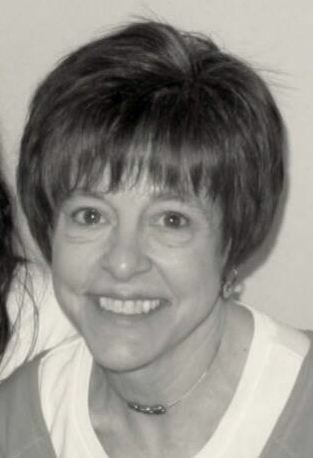 Some of you might not have had the pleasure of knowing Pat, but you most certainly tasted her cookies every year at The Walk for Thomas. In lieu of flowers, donations can be made to peloton65.com, a cause that was near to Pat’s heart. Good luck to those of you participating in the Lemon Run this Sunday in Philadelphia! Good luck to both the Walk For Thomas Lethbridge and the Walk/Run for the James Fund that are happening this Sunday. Sending you sunshine and support! 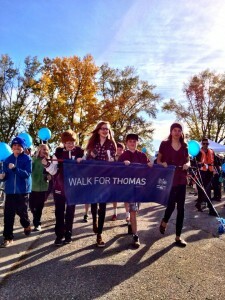 This past Sunday we held our 3rd Annual Walk for Thomas in Calgary. We were once again overwhelmed by the attendance, and welcomed over 350 on a brisk Sunday Calgary morning. We raised over $27000, all of which will be going again to the Thomas Mueller Phage Display Project. We were thrilled to welcome Diana Birrell, Executive Director of The James Fund, to our event this year. From all of us, Thank you so very, very much.